At VES, the arts are woven throughout the fabric of VES—in our robust arts curriculum, co-curricular and extracurricular activities, assembiies, talent shows, gallery shows and special programming offered throughout the year, highlighting the work of VES students and a broad range of visiting artists. Discovering, nurturing and showcasing student talent are paramount. Enjoy singing? Join the Glee Club or Vocal Ensemble. Play an instrument? Participate in our Jazz Ensemble or a chamber group. Want to understand music more deeply? Take classes in music theory. Interested in stage performance or technical theater? Participate in the fall play, the annual musical, or one-act plays and learn about and apply your skills in the technical and performance aspects of theater. Are you an artist? Whatever your medium, you can find an outlet in our studio art classes and display your creations in galleries on campus and in town. Fascinated by photography or multimedia production? Learn to write a storyboard, capture images with a drone and the latest technology, and conduct interviews in our green screen studio. Students are encouraged to share your talents broadly. Each Friday, the VES community enjoys the talents of fellow students in our Fine Arts Friday assemblies. Studio and performing artists on campus are featured at all major campus events. In addition, studio artists enter local and regional art competitions, and performing artists perform on campus, as well as regionally, and even internationally, when possible. Whether you’ve been studying art or music for years or you’re ready to explore untapped skills, VES provides the perfect place to explore, learn and perfect your talents! We invite you to discover, develop and debut ... find your place in the arts at VES! Debbie joined the VES community in 1998 as Chairman of the Fine Arts Department. Debbie Burton graduated from Bluefield College with a B.A. in music and holds a Master of Music Degree from Converse College’s School of Music. Debbie first taught at Bluefield College and became an Assistant Professor there. Later, she moved to Lynchburg where she taught choral music at E.C. Glass High School. In 2003, Ms. Burton became the Director of Music at Peakland Baptist Church. Debbie received the Distinguished Faculty Award at Bluefield College and at VES she received the Paul Fulton Distinguished Faculty Award in 2003. Her Virginia Episcopal School choirs have sung in London’s Westminster Cathedral, at the Vatican in Rome, and at St. Marks in Venice. Ms. Burton is a national figure in the world of music education and has been a reader for the AP Music Theory Exam for some time. Recently, she was selected by the College Board organization as one of ten music educators in the nation to serve on the Test Development Committee for the AP Music Theory Exam. Ms. Burton directs the Glee Club and teaches AP Music Theory and Public Speaking. She also directs the winter drama one-act plays and serves as producer and music director of the spring musical. Debbie is the mother of a son and a daughter: Noah, a UVA graduate, and now pursuing an M.F.A. in Creative Writing at Emerson College in Boston, MA, and Victoria, a student at Christopher Newport University in Newport News, VA. Right outside our campus, the city of Lynchburg has an active and diverse arts community with endless opportunities to catch a play, hear live music, attend the opera and symphony and stroll through galleries. And throughout the broader region, opportunities for enjoying the arts are ever present. Hone their skills, expand their capabilities, and explore new and innovative ideas used in the professional world today. 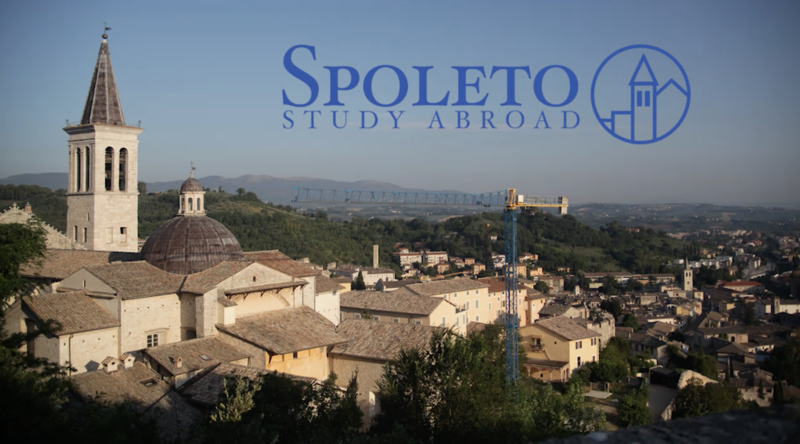 Students who want to deepen their passion and understanding in the arts may hone their talents overseas in Spoleto, Italy, where they can participate in the Spoleto Study Abroad Program—a three-week intensive program offering classes in visual art, photography, vocal music, drama, instrumental music and filmmaking. VES students have this extraordinary opportunity to participate in this program, as VES is one of only 12 select schools in the U.S. that make up the Spoleto consortium.